RAB27A is a member of Rab family GTPases involved in cellular vesicle trafficking, and TP53 has recently been implicated in regulating the exosome secretion pathway. Because exosome secretion plays an important role in modulating tumor microenvironment and invasive growth, we hypothesized that RAB27A and TP53 expression might be associated with aggressive behavior in pancreatic ductal adenocarcinoma (PDAC), one of the most deadly human malignancies. We determined protein expression of RAB27A and TP53 in 265 pancreatic tissues (186 carcinomas and 79 normal or benign tissues) by immunohistochemistry analysis on tissue microarray and found their expression was correlated with patients’ clinical parameters and overall survival. We found that RAB27A and TP53 protein expression was significantly higher in cancerous tissues compared to normal and benign tissues. High RAB27A protein expression (RAB27A+) was significantly associated with tumor stage and vascular invasion. No correlation between RAB27A and TP53 expression was observed. Patients with high RAB27A expression and high TP53 expression had a poor overall survival. Our data indicate that RAB27A expression is an independent prognostic marker for PDAC, and RAB27A-regulated exosome secretion pathway may represent a novel therapeutic target in pancreatic cancer . This study was supported by the postdoctoral study (2013-40-5) and translational medicine research (TDFzh2014011) from the Affiliated Hospital of Nantong University, Jiangsu, China. 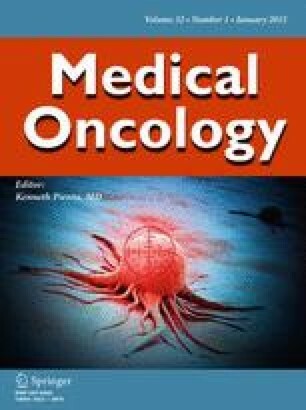 Webber JP, Spary LK, Sanders AJ, Chowdhury R, Jiang WG, Steadman R, Wymant J, Jones AT, Kynaston H, Mason MD, Tabi Z, Clayton A. Differentiation of tumour-promoting stromal myofibroblasts by cancer exosomes. Oncogene 2014. doi: 10.1038/onc.2013.560. Cowley MJ, Chang DK, Pajic M, Johns AL, Waddell N, Grimmond SM, Biankin AV. Understanding pancreatic cancer genomes. J Hepatobiliary Pancreat Sci. 2013. doi: 10.1007/s00534-013-0610-6.